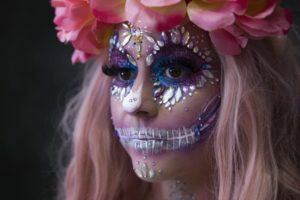 Halloween is now an increasingly popular occasion in Australia, with regular halloween events, parades and fetes at schools, house decorations, parties, and groups of children and teenagers dressed up in Halloween costumes looking for trick or treat locations through local streets. For many years in Australia, Halloween was just an excuse for some scary movies on TV, the Halloween specials on The Simpsons, and maybe hiring Friday the Thirteenth at the video shop. 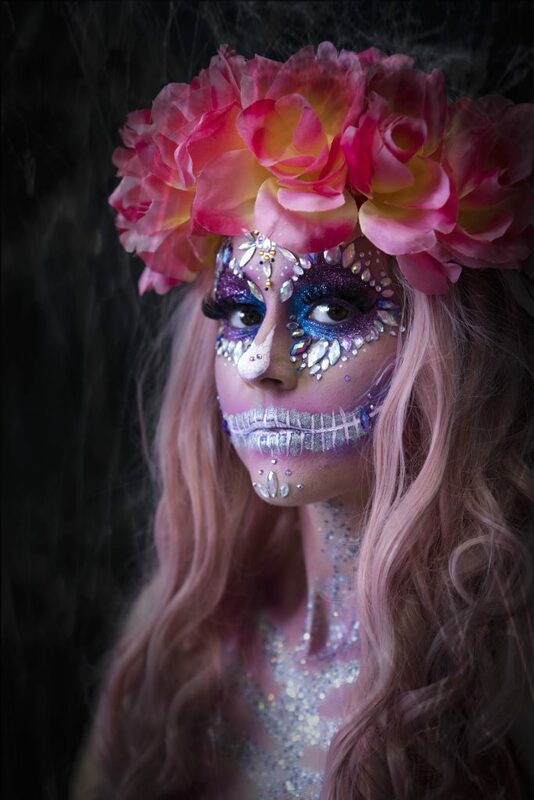 Now there are halloween events, parades and parties, and lots of halloween decorations and costumes to help you have some creative fun. 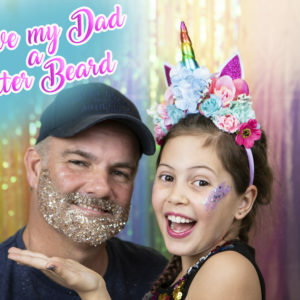 Here at Glitter Girl we don’t really love scary things or movies, but what we do love is GLITTER and any opportunity to dress up, do craft and decorate with Glitter! 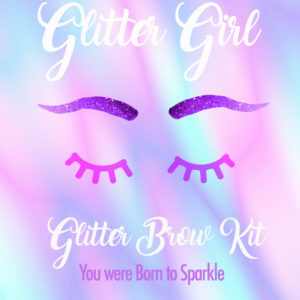 We have created a fabulously fun and sparkly Glitter Makeup Tutorial for you to watch. Make sure you tag us in your creations on your socials. Get creative on holding your own halloween party, making your own halloween costume, and decorating your own home. It’s all just a bit of fun. Try recipes for Halloween parties, with a twist. Using Australian ingredients. 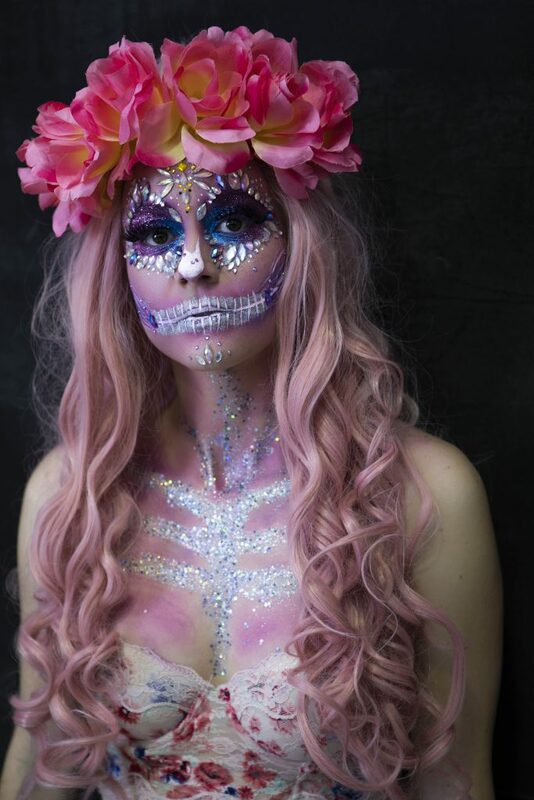 Show off and share photos of your costume or decorations with us here at Glitter Girl. Now we have all seen how people carve and decorate their pumpkins for halloween, but carving seems super hard and super messy. 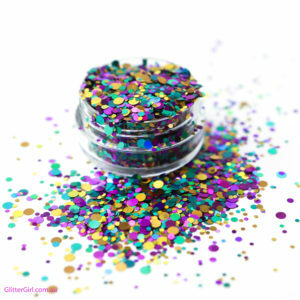 We prefer to get messy with our sparkly stuff, the Glitter Girl Biodegradable Glitter. 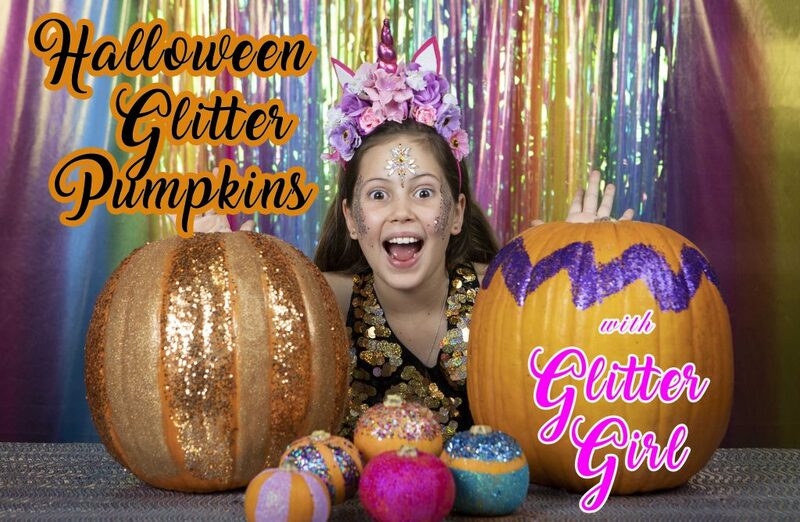 Glitter Girl and Glitter Mum had a fabulous time last week creating teeny tiny little sparkly pumpkins and also super duper big pumpkins!